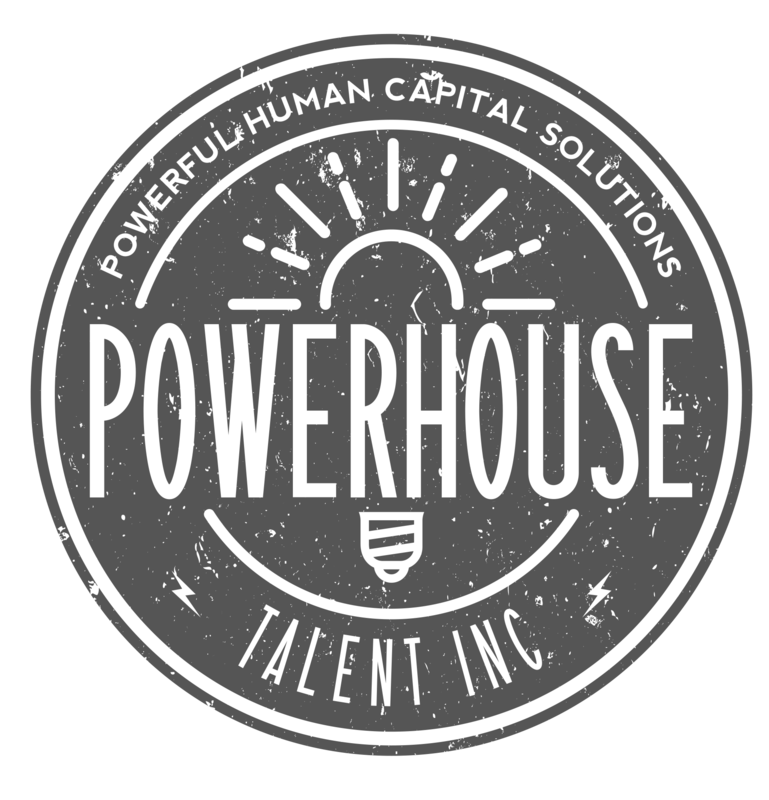 Employer Branding Archives - Page 3 of 7 - Powerhouse Talent Inc. While the Talent Attraction community at large may be investing more than ever in their employer branding (EB) efforts, many have been tasked with building out an EB strategy on a shoestring budget. To those who may be bootstrapping their way to the top, take a deep breath because we’ve got your back. We have put together an action plan to help you on your EB journey. Gain instant access to our EB on a budget video by clicking on the image below. Ready to amp up your EB game? Give us a shout! While the Talent Attraction community at large may be investing more than ever in their employer branding (EB) efforts, many have been tasked with building out an EB strategy on a shoestring budget. To those who may be bootstrapping their way to the top, take a deep breath because we’ve got your back. We have put together an action plan to help you on your EB journey. Start with discovering your “why”. What attracts and retains your top talent and what is your organization’s promise to its people? This is your Employee Value Proposition (EVP). It’s also the foundation of your Employer Brand, so naturally, it’s where you want to start. You can help discover this critical component to your people strategy by speaking with employees via interviews and focus groups. You can also use surveys to collect this information. It’s also critical to layer upon your EVP where your organization is going over the next few years and to determine who your critical talent populations are. From there you can build talent personas to deepen your understanding of these populations and what channels they may be utilizing to consume content. Once you are aware of your EVP, critical talent populations, and have built talent personas, it’s time to determine key messages and your visual identity. Consistency is a critical element to any brand. Imagine walking into McDonald’s to order a Big Mac. You can easily identify its building from others due to steady use of images and colour, which is essentially its visual identity. You are aware of what McDonald’s stands for due to how they consistently communicate with their customers. You are not expecting a $50 steak and are thrilled with your Big Mac as it delivered on its promise of consistency thus further building brand trust. This is the power of consistency and how you build a brand. Understanding who you are, consistently communicating your messages to the world, and honouring your brand throughout your employee lifecycle is critical in building brand trust. With your EVP in hand, key messages determined, storytelling tools such as your visual identity mapped out, it’s time to share your epic story with the world. Consider visual storytelling tools such as Instagram and Facebook. They are free to use and create dynamic and authentic content for your prospective talent to get to know your brand. Keep in mind that unlike a consumer brand, many people “checking out” your profiles will not opt to follow you for fear of the ask to follow back. Many candidates wish to keep their social media profiles private but will investigate prospective employers prior to accepting a job or even applying. Round out the content available to candidates by offering them more to see and read than simply employer reviews. Empowering employees to share your story is highly effective. Select and train employees to be “social scouts” and look for great social moments to share on the feed. These scouts may be given direct feed access or serve as “content collectors” for the curator to have final say. Additionally, organizations looking for increased employee advocacy may want to check out our new employee advocacy app. This branded app is included in all our managed social media programs or may be purchased as a stand-alone tool. We built this branded app to help organizations empower all their employees to become social ambassadors while the company remains in full control of what is published on the feed. It’s the perfect fusion of authenticity and employee engagement meeting brand consistency and control. Create a YouTube playlist of great office moments or archive video on Instagram or Facebook. Our view is that highly produced video may look great, but we feel credibility is stronger with informal selfie style employee led video. Give a tour of the office, capture highlights of a great event, tour the neighbourhood, etc. The opportunities are endless. Add a blog and write about hot industry topics by highlighting the quality of the talent you have at your company. Awesome people want to work and learn from awesome people. Blog your way into brand relevance. Not everyone is aware of SEO (search engine optimization). SEO helps search engines rank content and display the most relevant pieces to users. Great SEO means discoverability. From strong titles to keyword tags, be mindful of SEO with each and every piece of content you create. Employer Branding on a budget is totally doable! It takes some skilling up, a whole lot of self awareness, and some major hustle but it so worth it in the end. Looking for more help without the cost of a full-service employer branding engagement? We are excited to share with you how we are disrupting the Employer Branding agency model and making EB accessible to all! To learn more about The Employer Branding Co-Operative, our exciting program that helps organizations big and small afford an Employer Branding strategist on their team, give us a shout. Looking for a range of Employer Branding solutions? We have programs to support organizations and budgets of all sizes. Hit us up here. Learn more about progressive talent attraction strategies and optimizing your candidate experience here. If your organization has been having difficulty finding and retaining the talent it needs, it may be due in part to a stale employer brand. Not to be confused with your company brand — which encompasses the messaging, perceptions and valuation your customers have of your organization’s products and services — your employer brand is your reputation as a great place to work or an awful place to work. There is a new currency out there and I’m not talking about Bitcoin…or Ethereum for that matter. Increasingly we are seeing the intangibles weighing more heavily on the hearts and minds of applicants and employees when making employment decisions. So, what are some modern-day tenders of choice? Flexibility– There have been countless articles, research, and conferences about how millennials wish to work differently. What is surprising to some is that many other generations are thanking them for being the catalyst for change positively impacting the way we work. Working parents, human and fur alike, now enjoy greater flexibility to provide their most meaningful contribution in a manner that makes sense for their roles and their lives. Progressive leaders empower their people with a challenging mandate and then allow them to decide how to best achieve the optimal outcome. From flex-hours to remote work, how we work has changed and thank goodness for that! Solution- Consider implementing agile workforce programs in your workplace. This is more than writing a policy, it’s a lifestyle change. Lead by example by having your leaders demonstrate these progressive programs in how they collaborate and measure success. Inspiring leadership– Move over command and control, inspiring leadership is where its at. What resonates with someone is individual, but we have yet to hear someone ask to join a company where there is more hierarchy, regiment, and excessive approval processes. What we do hear about is accessible leadership, removing bottlenecks, mission-driven work, and a clear vision. Solution- From the top of the house down, ask yourself if you have the type of leaders that will magnetize critical talent populations to your organization. On a go-forward basis, be sure to hire leaders that support a cultural metamorphosis. Virtualization– In order to achieve this flexibility, one needs technological requirements to help make it happen. A virtualized workplace has allowed us to collaborate not only cross-functionally, but also globally in very meaningful ways. Legacy facetime has been replaced with Apple Facetime, Google Hangouts, and Skype. Providing smart ways to work helps a workforce manage their most precious resource, their time, by shaving hours off their commute and positively impacting the environment. Solution– Start utilizing tech tools that power a modern workforce. You would be surprised how many are free or low cost. Locate the early adopters in your employee population and empower them to train and evangelise on these tools. Purpose– “We’re here to put a dent in the universe”- Steve Jobs. According to an Imperative study, 40% of the US population is purpose-oriented. That figure is even higher in several European countries. Many employees are no longer working for the all-mighty dollar alone. We are driven by impact and the dent we make in the universe. Solution- Ask yourself, what is the bigger purpose of the work you do? Promote this bigger purpose as a focal point of the mission and employer brand messaging. Fuller Talent Utilization– “We only regret the chances we didn’t take, the relationships we were afraid to have, and the decisions we waited too long to make” – Lewis Carroll. Regret can also be tied to the talents and gifts we did not have a chance to share. Narrow role scoping and a culture of colour within the lines can translate into underutilized talents. What a shame! It’s no wonder why the start up ecosystem has a natural magnetism to it. Bootstrapping means fuller talent utilization. We all want to be the hero and show the world what we are made of. Solution-Provide broader mandates and challenge your team to try new things and tap into their hidden talents. Foster a culture of career exploration internally. Modern Organizational Structure– What would you select, cog in a wheel or valued contributor to the mission? Progressive leaders are looking to limit communication bottleneck and create greater access to information. If speed to market is game changing, reliance on old school hierarchy and communication protocol can spell disaster. Elon Musk’s now famous email on communication at Tesla embodies the spirit of open communication in the best interest of the organization versus a historical chain of command. While this may seem like an impossible dream for the multinational giants, this is exactly how Tesla is looking to compete with “intelligence and agility”. Solution- Revisit structure and look for ways to streamline communication and optimize how work gets done. Encourage open communication and accessible leadership across the company that serves the culture and the customer. Per Maslow’s hierarchy of needs, compensation and benefits are basic human needs of personal safety. Those must be present but to truly attract and retain, but in today’s war for talent, the exceptional are looking for far more than their personal safety needs met. They want fulfillment. It could be increased autonomy or creative freedom, perhaps it’s tied to the mission. Regardless of what the driver may be, it leads back to how an opportunity at your organization can enrich their life, not simply thicken their crypowallet. Most organizations spend tons of time thinking about their consumer brand — how prospective customers perceive their products or services, how effectively their brand communicates the information it needs to attract those paying customers and the ROI on all of the marketing activities they’re doing to grow that public brand. Need help building your employer brand strategy? Give us a shout! Remember when the open office floor plan was an innovative idea? When colleagues were excited about moving email over to chat apps? Or when you only used two or three apps at work each day? If you haven’t already guessed where this is going, let me lay it out for you: the employee experience is drastically changing. Ready to power up your employee experience? Give us a shout! An employment crisis is brewing. Recent research on the impact of artificial intelligence and automation estimates that there will be 38 million jobs lost in the U.S. by the year 2030. Without significant interventions, this could translate into a 23.5% unemployment rate-equivalent to the peak unemployment rate during the Depression in 1933. The skills shortage could create conditions that, if not addressed, could severely impede growth of the U.S. market by 2030, a new Korn Ferry study says. According to the Global Talent Crunch, the current talent shortage in the U.S.